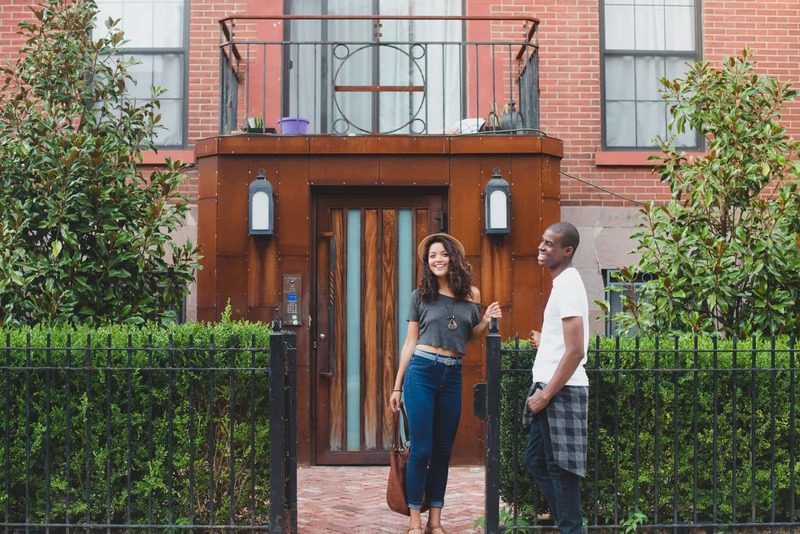 Moving into a new home or apartment? With the whirlwind of things to do, it’s easy for some of the smaller items to fall off to the wayside. That’s why we created this moving checklist. There are a few basic things you can do early on in the process to make moving day a breeze. Below we’ve listed 12 important things to do when moving. The easiest way to simplify your move into a new home is reduce the amount of stuff you have to sort, pack, transport, unpack, and organize. Go through your current home room by room and take a long hard look at everything you own. Make a list of what you want to keep and what you’re ready to get rid of. Depending on how far you’re going, there may be quite a few things in your pantry or refrigerator that aren’t worth moving. Take stock of food that is expiring soon, frozen food, or items that are hard to transport. If you can, try to use these things before your moving date, and avoid repurchasing these items at the grocery store leading up to the big move. Are you going to pay for a moving company? If so, you’ll want to do some research on different movers in your area, get some quotes, and schedule your moving date ahead of time. We recommend getting a quote from UShip, they can cover your entire move and they’re great for shipping vehicles if you’re moving long distance. If you’re relying on the good graces of your friends and family, it’s best to start lining up your help as soon as possible. You might also want to consider reserving a moving truck from a local rental company. If you need an extra set of hands you can also try TaskRabbit – you can get help moving or even have someone assemble your furniture for you. You’ll want to get your packing supplies ahead of time. If you can, keep an eye out for free boxes on craigslist or from local businesses. Otherwise you’ll want to purchase boxes, packing tape, bubble wrap, and markers. It’s also a good idea to get a wardrobe box – folding all of your clothes for a move only to unpack and rehang them in your new home is silly. Save yourself the time and hassle. If you’re moving into your first place, or you’re expanding into a larger home, order some essentials ahead of time. A little planning ahead will make your first few nights in your new home much more pleasant. For some inspiration, check out our New House Checklist that covers all the essentials and necessities. If you did a good job at #1 on this list, this part is much easier. Moving day is chaotic enough, do yourself a favor and pack your boxes ahead of time. Start with the items that you won’t need in the days leading up to the move – think out of season clothes, books, decorations, home office, garage etc. Work your way through the house until you get to the essentials – toiletries, your current wardrobe, and the essential kitchen items should come last. If you’re moving during the week, make sure to get the time off of work. Even if you’re moving on a weekend, you might consider taking off the day after your move so you can get settled into your new home. Make sure to call your utility companies and let them know you’re moving. In some cases, that will mean canceling service with your existing company and setting up services with a new provider. Make sure to call the company a week or two before your move in date – in some cases, a technician may need to come to the house before they turn on services. You’ll want to make sure you have water, power, gas, sewer, trash service, and internet. Missing important mail after you move can create some real problems, especially when tax season comes. To make sure nothing falls through the cracks, file a change of address with the post office. You can do it online here, and it only takes a few minutes. You’ll also want to make sure you’ve updated your address with your banks, insurance providers, credit card companies, and other major institutions. When moving into a new home, you never know who has keys to your existing locks. Old tenants, previous homeowners, or even some of your neighbors might have spare keys. It’s a good idea to replace the locks on move-in day, make sure to order a replacement lock set ahead of time. Check out our post on the best smart locks for some recommendations! Your new home will be much easier to clean before everything is moved in. We recommend scheduling a deep cleaning prior to move in day if you have the chance. Amazon offers a new program that makes it easy to hire local professionals for in-home services. Click here for a special promotion and pay just $3 for your first service. Make sure to save your receipts through your moving process. In many cases, you can deduct your moving expenses from your taxes at the end of the year, saving hundreds or even thousands of dollars depending on how far you’re moving. Everything from small items like moving boxes to big ticket items like the cost of a moving company could be eligible. You can go here to learn more about whether or not you qualify for a deduction. If you’re in the process of purchasing your new home, it’s a good idea to make sure you are getting the lowest interest rate possible to keep your monthly payment affordable. Check to see how your mortgage payment compares to our partners below!